Image Source: British Wool Marketing Board. So today I find myself with a HUGE bag containing a whole fleece. Anyone who has worked with fleece, or been in close proximity sheep, will be familiar with the unique aroma. Needless to say, it's going to be living outside while I figure out exactly what to do with it! The fleece is from a local Southdown Sheep (pictured above) which my trusty British Sheep & Wool Guide tells me is a breed established in the UK, pre-17th century, but improved in the 1800s particularly by the work of John Ellman of Glynde. Apparently the wool is extremely fine and dense and has a very soft handle. 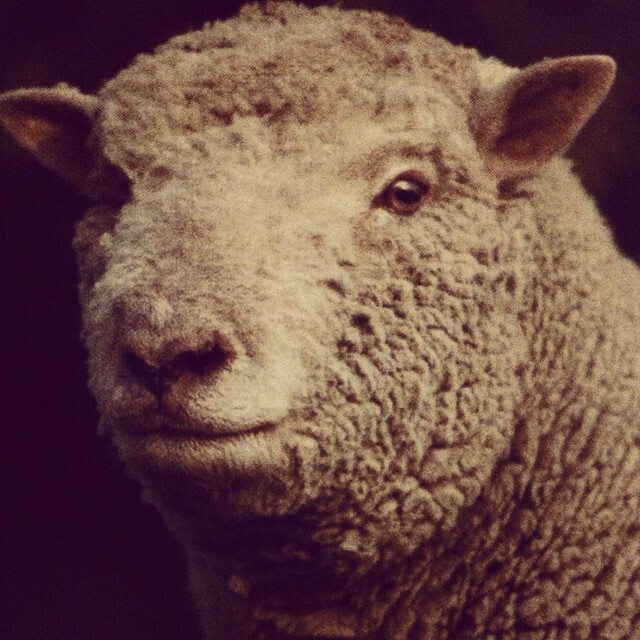 It's a true local breed - the sheep it came from lives in the Sussex Downs where the breed has roamed for centuries. I have long said that I'd like to see the process of 'fleece to garment' through from start to finish and now that I can knit and spin AND I have a fleece, there are no real excuses not to get on with it. Of course, there is more to it than just spinning and knitting. This huge bag of smelly fleece will need to be washed, carded, dyed and spun. At this point, I'm not even sure which order it should be done in or what else might need to be done to it!! I feel excited and perhaps just a little overwhelmed - but I love researching and trying out new things so it should be interesting. The plan is to be able to make something which is 'beautiful and unique' at the end of the process - although at this point I have no idea what it will be. If you have any great resources / hits / tips for this transformative process, please leave a comment. 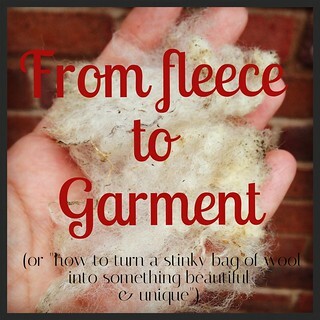 I'll be blogging my progress at each stage (I seem to write about spinning on Tuesdays, so keep an eye out for updates then if it's something you're interested in) and tagging any pictures on Instagram using #fromfleecetogarment . There is nothing new on my needles so far this week, but I've been turning a stunning skein of yarn into two balls to start a new pair of socks. I'll show you more on that, and the book I have almost finished, in the next WIP Wednesday update. Can't give info in any way, sorry about that. oooo... looking forward to seeing your progress! Having frown up on a sheep farm in VA, I am profoundly aware of the "fragrance" you describe. Best wishes! Wow! That's a lot of spinning! You'll no doubt be tempted to dabble with dyeing too! Wow! That is a challenge and a half! Have fun! Sounds like a great project, have fun on your journey! I don't have any tips, except "don't agitate" and "don't boil!" Wow! That is really fun. I am excited to see your progress! I am realizing that some ppl's blog posts are showing up later in my Wordpress reader. You are such an adventurous one, Sarah. What an exciting process to go through. It will be so much fun to read about it.